Here is the English version of the statement or the transcript of President Benigno S. Aquino III about the abolition of PDAF. 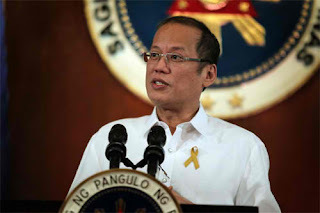 PNoy is now in favor of abolishing the pork barrel in Philippine government. You can view in this page the full English content statement of the President. In 1990, what we now know as PDAF was established for a worthy goal: to enable your representatives to identify projects for your communities that your LGU cannot afford. There is nothing intrinsically wrong with this policy. But what is wrong—indeed, what has outraged our people—was the collusion among a former president ready to trade favors just to remain in power, legislators, and members of the bureaucracy who were willing to conspire, enabled by a passive and indifferent citizenry. All these factors put together make PDAF prone to abuse. We need to make sure the system can no longer be abused. There are those who treat PDAF as their own private fund, to use as they please. This is clearly wrong: What is involved here is the people’s money; it should be used for the benefit of the people, and not for the benefit of a few greedy individuals. The shocking revelations of this misuse—the latest being the COA Special Audit Report on the 2007-2009 PDAF, which was released this past week—are truly scandalous, and so the time has come to do two things. First, to exact accountability from those who have abused the system. As I informed you yesterday, I have already tasked the DOJ, together with all the agencies of the executive government under the Inter-Agency Anti-Graft Coordinating Council, or IAAGCC, to work together to accelerate the process, from investigation, to prosecution, to putting people behind bars, and even to asset recovery. My directives to all agencies and members of government are clear: Extend your full aid and cooperation so that the truth may be uncovered, and so that the guilty may be held accountable. I have utmost confidence in the impartiality and integrity of Ombudsman Conchita Carpio-Morales, Secretary Leila M. De Lima, and Chairperson Grace Pulido-Tan; I know that they will be impartial and just. They represent the great strides we have made in restoring public faith and confidence in the institutions they lead. That outlines our efforts to achieve our first objective. Our second goal: To find a better way to ensure that the public coffers will be spent with only the public’s benefit in mind. Let me be clear: From the very start of our administration, we have pursued the necessary reform to limit discretion, which had previously been the root of the excessive and criminal use of PDAF. We believe that a transparent process can reduce abuses of the system. We ordered that PDAF provided to every legislator be included and noted in the National Budget; and we prohibited congressional insertions. The existing menu for PDAF projects is limited in scope, unlike in the past when funds could be indiscriminately allotted for a project or program. Now, we also ask that the project details be submitted as a condition for approving it, unlike in the past where projects had very general definitions. We uploaded the list of projects funded by PDAF on the DBM website in real time so that the public could review and scrutinize them. For the bidding stage, all bid notices and awards were required to be posted on the Philippine Government Electronic Procurement Systems or PhilGEPS. I remember when I was a Senator. A budget, as we all know, is allocated for the period between January 1 and December 31. In 2007, it was approved in April. This means that from January to April, the budget was carried over from the previous year. Does it not make sense that, because the budget was re-enacted, the funds for the months that had passed also be stricken from the budget? My proposal lost, which is why I voted “No” for the budget of 2007. Because of this, the savings for that year reached about 36 billion pesos. You have to wonder where did the 36 billion go? This is why, from the time we have assumed office, we have ensured that the budget is submitted and approved on time, so as to prevent its reenactment, which could be used as an instrument of corruption. On the day after the SONA, we submit the proposed national budget to Congress; they are able to approve it before the end of the year, thus preventing opportunities for crooked officials to tinker with the budget, and use it for corruption. Despite the reforms we have implemented, we have seen, as the events of the past weeks have shown, that greater change is necessary to fight against those who are determined to abuse the system. It is time to abolish PDAF. Now, we will create a new mechanism to address the needs of your constituents and sectors, in a manner that is transparent, methodical, and rational, and not susceptible to abuse or corruption. Together with Senate President Frank Drilon and Speaker Sonny Belmonte, I will make sure that every citizen and sector will get a fair and equitable share of the national budget for health services, scholarships, livelihood-generating projects, and local infrastructure. Your legislators can identify and suggest projects for your districts, but these will have to go through the budgetary process. If approved, these projects will be earmarked as line items, under the programs of your National Government. In this way, they will be enacted into law as part of our National Budget—every line, every peso, and every project open to scrutiny, as with all other programs of your government. We will continue the practice of requiring that projects to be funded come from a specific menu of qualified projects. They cannot include consumable soft projects, such as fertilizers, seeds, medicines, medical kits, dentures, funding for sports fests, training materials, and other such items—these projects of which the results and impact we cannot conclusively identify, and which may only be ghost projects, used only as a source of income by the corrupt. They cannot be temporary infrastructure, and neither can they be dredging, desilting, regravelling, or asphalt-overlay projects. The funds cannot be disbursed to NGOs and certain GOCCs, such as ZREC and NABCOR. Both of these GOCCs will be abolished, along with others of their kind that have become notorious for anomalies, and which seem to serve no other purpose aside from being instruments of corruption. The funds must be limited to the district or sector of the legislator who sponsored it. All items will be subject to open and competitive bidding, with all bid notices and awards posted in the Philippine Government Electronic Procurement System or PhilGEPS. So that the public may monitor the implementation themselves, we will make sure that each item will be disclosed in the DBM and related agency websites and the National Data Portal of the government. I have tasked Secretary Abad of the Department of Budget and Management to consult with Speaker Belmonte and Senate President Drilon to craft this mechanism, and to submit it for my approval as soon as possible. We are all committed to putting this in place so that, moving forward, allocations per district will be included in the National Budget, starting with the proposed budget of 2014. For this system to work, your cooperation is required. The information will be there for you to monitor: let us understand and examine it. I am calling on each and every Filipino to do his part, even as we do ours. Together, let us work to strengthen accountability and transparency in government, in order to ensure that public funds are utilized in a just manner—one that truly benefits the Filipino people. Thank you for reading this post, If you like this details, please bookmark it now or visit this site more often for you to be updated. You may also share this post to your friends so they may know about the statement of PNoy in Abolition of PDAF. Comments or suggestions about "PNoy Full Transcript About Abolition of PDAF | Abolish the Pork Barrel System" is important to us, you may share it by using the comment box below.